The increasing price of the fish meal and ambiguity in acquiring it have obligated to use vegetable protein sources in fish feed that are cheaper and more easily attainable than fish meal. For this reason vegetable feed raw materials having a high protein content such as soybean meal, cottonseed meal, sunflower seed meal, rapeseed meal, wheat flour and sorghum are used in feed production. But these raw materials contain various antinutritional which means nutrition limiter factors. Those factors cause negative effects on the growth, utilization from feed and health of fish. 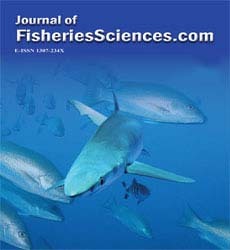 In order to eliminate the negative impacts, more comprehensive researches are needed that exhibit the results of threshold limits of antinutritional factors, effects on physiological and ecological characteristics of the fish and interaction among the different antinutritional factors.